With a fortnight to go for the first phase of polling on 11 April in Chhattisgarh’s Maoist-hotbed Bastar region, the security forces — both central and the state — have intensified their operations against the ultra-Left insurgents. A joint search operation by security forces against armed Maoist cadre in Sukma district of Chhattisgarh on early morning Monday didn’t face the same fate as had happened over a week ago. 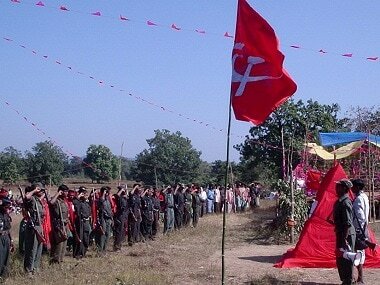 Instead, the joint team in a fierce encounter killed four Maoists, including two women. One of the Maoists killed during the operation has been identified as a section deputy commander in the Battalion-1 of the People’s Liberation Guerrilla Army (PLGA), which is headed by Maoist leader Madvi Hidma, who is also the head of the central military commission of CPI (Maoist). According to Chhattisgarh Police, acting on a tip-off, a joint team comprising troops of CRPF’s 201 CoBRA battalion, District Reserve Guards (DRG) and state police conducted a search operation in the forest of Karkanguda in Chintalnar-Jagargunda area in the wee hours of Tuesday. The encounter location — village Bodakode — lies on volatile Sukma-Bijapur border. "We got an intelligence input from ground related to the movement of Maoists in Chintalnar area on Monday. Acting on it, a joint team conducted a search operation in the early morning today. 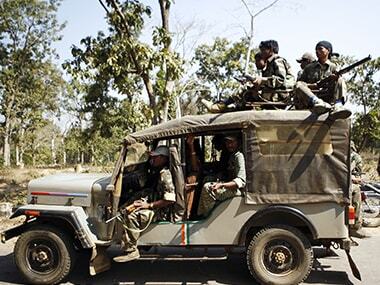 Four armed Maoists have been neutralised. 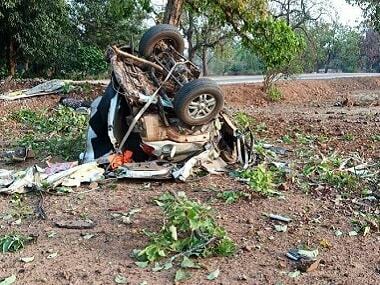 The search operation is continuing,” said Vivekananda, Inspector General (Bastar range) of Chhattisgarh Police. A source at CRPF said that the Maoists were caught unaware and resorted to heavy indiscriminate firing upon the troops. The gunfight lasted for 45 minutes. The commandos overpowered the ultras and four of them were neutralised. According to local sources, stains of blood have been found on the spot which indicates that more number of Maoists got injured during the encounter. The security forces are seeing this encounter as a big blow to Maoists, who at present are observing Tactical Counter Offensive Campaign (TCOC) month in Bastar. It’s during this period that the Maoists, in order to show their supremacy, target police, paramilitary forces and government establishments. "We conducted a joint operation at 6 am today. Four bodies of Maoists in uniform have been recovered along with rifles including INSAS from the encounter site. Further details can be available once the search team gets back to base camp," a CRPF official told Firstpost. One may recall that on 18 March, the Maoists ambushed a search operation party near Aranpur village in Dantewada district in which one CRPF jawan was killed five were severely injured. It was the first attack on security forces by the Maoists, after the formation of the new Congress government in Chhattisgarh. 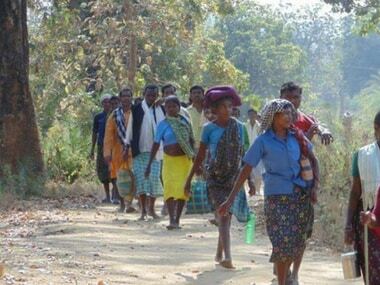 Prior to the 18 March incident, the Maoist cadre had put posters and banners in the affected area of Bastar region asking villagers to celebrate International Women’s Day on 8 March and also boycott the upcoming Lok Sabha election to mark their strong presence. In between, there had been instances of Jan Militia cadre of the Maoists attacking contractors and workers, and putting their vehicles on fire. In one case, a villager was killed by the Maoists for allegedly being a 'police informer'. With the new government coming to power in December 2018, there had been a lull for two months on the Maoist front. But after that, they started making their presence felt. Sukma has been in news due to anti-Naxal operations, encounters and transfer of Sukma district’s superintendent of police Jitendra Shukla allegedly due to political reasons. His sudden transfer on 7 March led to a massive political row between the ruling Congress party and opposition BJP. Shukla was considered a 'tough cop' in dealing with the Naxal menace and had brought relief to the locals. "The transfer of the SP was done at the behest of local MLA and state excise minister Kawasi Lakhma, as he had refused to remove an inspector that the minister asked for. It’s a clear case of political interference in bureaucracy. The SP’s departure has also created disturbances as he was strongly dealing with the Maoist problem," a Sukma-based journalist alleged. According to Chhattisgarh Police and CRPF, the Maoists are expected to step up their activities as the polling date gets closer. 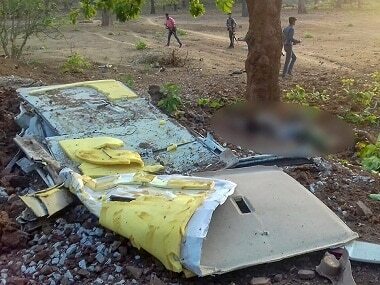 Ahead of the Assembly election in Chhattisgarh, the Maoists had blown up a bus carrying security force personnel in Bijapur district in April 2018. The incident had occurred a few days before the visit of Prime Minister Narendra Modi at Jangla in Bijapur on 13 April as part of the BJP election campaign. Prior to it, in March 2018, the Maoists blew up a mine protection vehicle (MPV) in Sukma that killed nine CRPF jawans. Even before former Chhattisgarh chief minister Raman Singh’s Vikas Yatra, the Maoists had triggered a blast as a mark of protest. "We’re keeping a close watch on the grouping and movements of Maoists across the state and on the borders of Chhattisgarh with other Naxal-hit states. Attempts will be made to create disturbances ahead of polling, as Maoists have issued threats to villagers to boycott polls. A Maoist banner and posters we have recovered mentions about intensifying the fight against the prime minister and the BJP-led government at the Centre,” a source from an anti-Naxal Operation unit told Firstpost. Due to security reasons, Chhattisgarh, which has 11 Lok Sabha seats, will undergo polling in three phases on 11, 18 and 23 April.